Business for Sale Mallorca (Majorca), Businesses for Sale Mallorca, Business Transfer Agent Mallorca, Business Finders Mallorca, Buy a Bar Mallorca, Buy a Restaurant Mallorca, Traspasos Mallorca, Commercial Property Mallorca, Bars for Sale Mallorca, Restaurants for Sale Mallorca, Nightclubs for Sale Mallorca, Beach Bars Clubs for sale Mallorca. Restaurant for Sale in Palma City – Leasehold – Price Reduced! 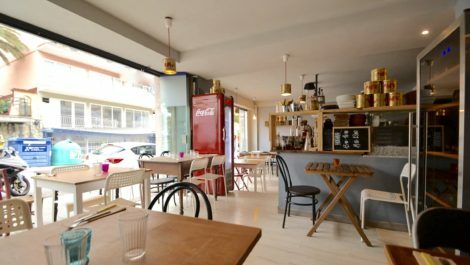 A trendy and hip style restaurant offered for sale in the city of Palma Mallorca, sold as a leasehold (traspaso). Offered in excellent condition, fully equipped and ready for an immediate take over. A generous size, offering 100 M2 approx inside, with seating for 30 customers. Fully equipped kitchen with cooking extraction, plus a storage room, male and female toilets. The position is is very central, surrounded by shopping and dining locations, with several public car parks nearby. 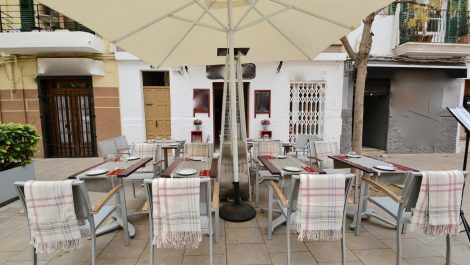 A wonderful restaurant offered for sale in the old town of Palma Mallorca, as a leasehold premises. The property is offered in excellent condition, modern throughout and well equipped throughout. A comfortable size offering approximately 110 M2,, with seating for 40 customers. Set in a picturesque location, nestled in the walking streets of the old city. Viewing recommended. Takeaway for sale as a leasehold business, in Cala Major, Palma. Located on the main road close in the most sought section of Cala Major, close to the entrance to the beach and hotels. The premises consists of a bar area on the street level with a private terrace, plus three storage rooms. The bar area is approximately 40 M2, plus the terrace. A commercial property offered for sale in the Sindicat area of the old town shopping district of Palma Mallorca. The premises is set over two levels, the ground level measuring approximately 50 M2, with two toilets, high beamed ceilings, with a wide opening and shutter, plus a window. Steps lead down into the basement level, which offers approximately an additional 40 M2. The premises is ideal as an office, art gallery, beauty parlour, etc. Could be purchased as an investment property, which has been previously rented out with a monthly rent income of 700€, although is offered for sale, free from tenants. A new concept market kitchen offered for sale in Palma Mallorca. This new style of dining has been revolutionary in Palma, which has had great success. We are pleased to offer a unit, where the monthly rent includes full service staff, allowing you to concentrate solely on placing the chef. This concept takes the stress out of managing waiters, cleaning and management of the dining hall and concentrate on the food. Please contact us for more information and viewings. 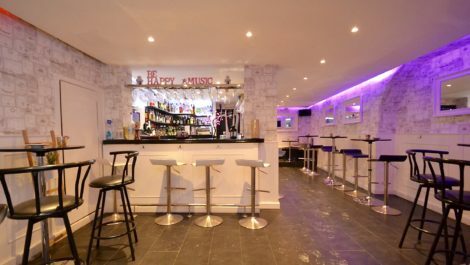 Bar Cafeteria for Sale in Palma Old Town – Leasehold – PRICE REDUCED! 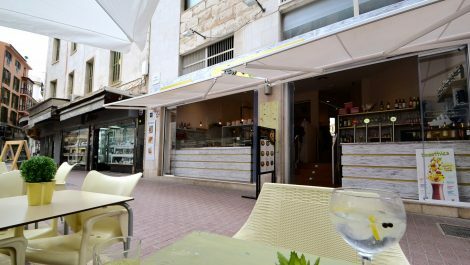 A bar cafeteria for sale in a prime location in old town Palma’s shopping district, offered for sale as a leasehold business. The location is unbeatable, a first choice location in the heart of the city, with high numbers of passing trade all day long, on a main street in the shopping district of Palma. The premises has been fully refurbished throughout with new quality installations, with a split level design. A beer service counter on one side and food counter on the other, with a fitted kitchen and extraction for cooking hot food, plus a pizza oven. An outside terrace offers approx 25M2 with seating for 40 customers, in addition to an internal dining room with seating for 20 customers. A freehold restaurant offered for sale, with a tenant in contract, in an extremely popular location of old town Palma Mallorca. The property is in excellent condition throughout, with character and charm, typical of Mallorcan property, offering approximately 70 M2, with a main dining room, small bar area and kitchen, with two toilets and small storage room. The property is offered for sale strictly with the tenant in place, and cannot be sold free of occupants. Ideal for an investor looking to get an immediate return on their purchase, on the basis that the rental contract is immediately assumed upon completion. 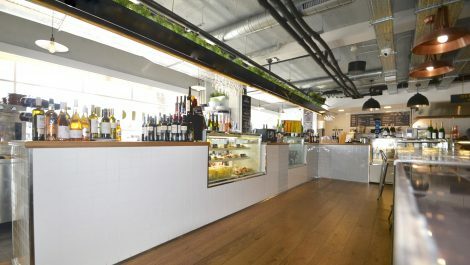 Restaurant offered for sale, located in the gastronomic hub of Palma, Santa Catalina. Located in one of the few streets dedicated to terrace dining, a pedestrian street, with no traffic, a well known destination for al fresco dining. The restaurant has been fully refurbished throughout, with a new kitchen and equipment, all in excellent condition. A manageable size, a moderate size offering approx 70 M2 internally, plus terrace. The kitchen is set within the restaurant, for open plan show cooking, with seating to the rear. The dining hall leads onto the restrooms, with a covered patio to the rear for storage. Restaurant with Wood Burning Oven in Palma Mallorca – Price Reduced! 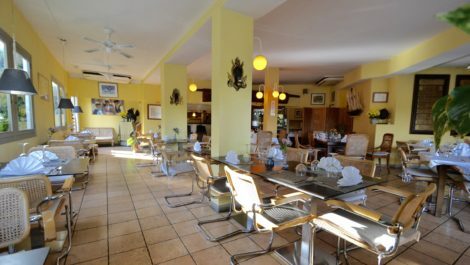 A restaurant offered for sale as a leasehold business in Palma Mallorca. Situated on a main street with excellent visibility and lots of passing trade, this is business that is open and trading and ready for an immediate takeover. The property is a manageable size, offering approximately 65 M2 inside and seating for 28 customers plus a terrace with additional seating for 15 customers. Completely open plan, with bi folding doors to the street, creating an inviting and attractive space. Fitted with a wood fired oven, ideal for a pizza restaurant. 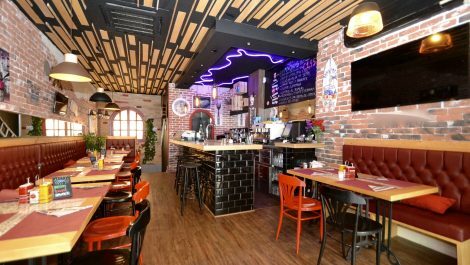 Restaurant for Sale in Portals Nous – Leasehold – Price Reduced! 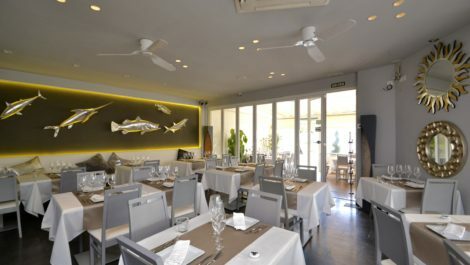 An impecable and elegant restaurant offered for sale as a leasehold business in the sought after and affluent area of Portals, Mallorca. Ready to move in and trade, the property is in perfect condition, with modern decoration and furniture throughout. A fully fitted professional kitchen, with a basement for storage and a walk in fridge. A spacious restaurant, with a private terrace and seating currently for 62 guests. The internal restaurant connects with the terrace via bifolding windows that completely open up if desired. Excellent location, an extremely visible location with a lot of passing trade. Must be seen! An opportunity to purchase a freehold bar and two bedroom apartment above, in the sought after district of La Lonja, Palma Mallorca, the heart of the old city for night life. 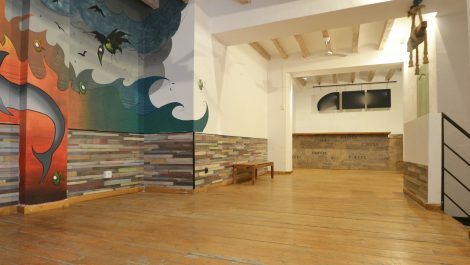 The bar is a manageable size, ideal for a single person or couple to run, measuring approximately 70 M2, having been fully refurbished, with modern decor and a trendy style, and has been achieving a rent of 1.200€ per month, until recently. The area is constantly developing with many new and attractive dining and drinking experiences and a new 5 start hotel, thus attracting tourism and locals all year round. The apartment is directly above and offers two bedrooms, a lounge kitchen and bathroom, which is in need of some modernisation. Restaurant in Palma Mallorca – Prestigious Location! 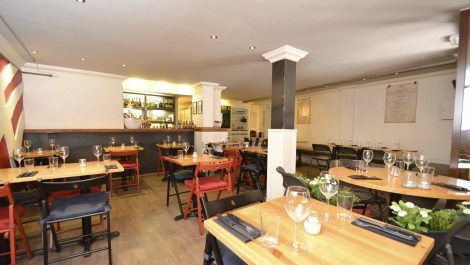 An excellent location for a restaurant, in a prestigious location with excellent visibility. 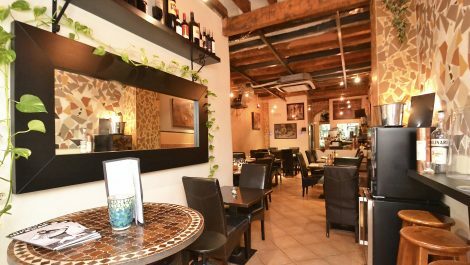 Offered for sale as a leasehold business, this is an established restaurant which has been trading for many years very successfully. A great opportunity to take over the location which offers approximately 110 M2 with seating for 56 customers, plus an outside terrace with open views and seating for 24 customers, which is private with no extra cost. Long contract offered of 15 years with a very reasonable rent, this is an opportunity not to be missed! Close to Palma city centre, and on main road with good connections. Open and trading and ready for an immediate takeover.